This is one adorable gadget which is a must have for kids in winter time. The snow ducky maker allows you to easily create ducks from snow. Simply take a bit of snow, close the the snow duck maker and release wherever you want to put your snow duck. Or, do a snow duck fight! 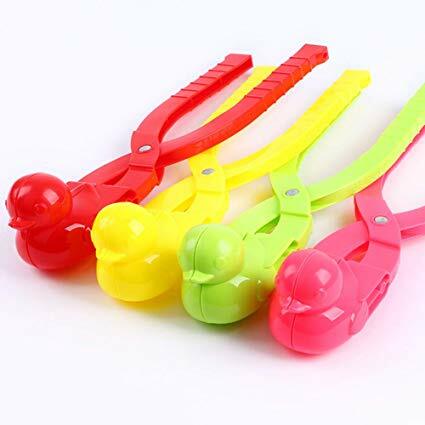 Really cheap and loads of fun 🐥🐥🐥, get it on Amazon. Easy to make snowball in cold winter, help kids build snowman craft. Protect hands and fingers of your little baby from cold ice and weather.